Founded in 2004 by Maryanne Gough, Icewood has become a well respected name in the Australian horse industry, and more recently on an international level. Born into the well known 'horse' family of the same name, Maryanne has gone on to prove that behind the name you will find business acumen coupled with an undeniable gift for horse training. She has been heavily involved with some of the world's most successful trainers; working in many facets of the horse industry from high-goal Polo to Olympic level Showjumping, million-dollar Reining trainers and World Cup Polocrosse riders. Her open-minded attitude has made her an eager student of training techniques and has allowed her to develop a programme which is not limited by the parochial view that one horse sport is above all others. 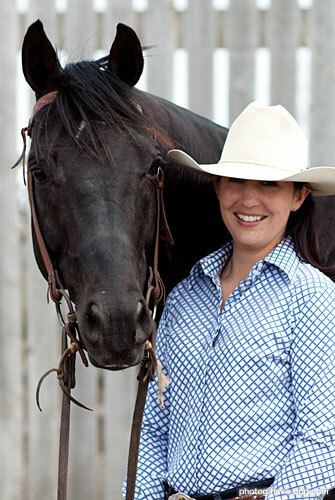 Most would know of Maryanne's two year commitment in Canada where she worked near Calgary, Alberta in taking the Australian Stock Horse breed, and her own horse Cadabra, to the North American horse industry. The pair played a pivotal role in the expansion of the Australian Stock Horse's recognition and appeal on the world stage and deserve much credit for putting the Australian Stock Horse breed front and centre in North America. Whilst in Canada, Maryanne was able to spend time both learning from top trainers, and passing on her existing skills to others. Most notably, she spent the entire two year period training under renowned Canadian horseman, John Swales, and was also invited to the United States by World Cup Polocrosse player, Ryan Murphy, to run a series of clinics for the American Polocrosse Association. During her time in the United States, she travelled from New York to Florida teaching riders and training the Murphy family's Keystone Australian Stock Horses. Despite her quiet countenance, Maryanne is a polished teacher who communicates clearly and effectively to her pupils; whether they be horse or human. Maryanne's recent time abroad has been an integral chapter in her life with horses, and we know you'll notice the difference when Icewood returns to the Australian horse scene in 2011. Feeling as though she had achieved all she could in her time overseas, Maryanne has decided to return home to the horses and country she loves. And so, it is with a great deal of satisfaction and an eye to the future that we announce the homecoming of Maryanne, Cadabra and Icewood! "If the world was truly a rational place, men would ride sidesaddle."